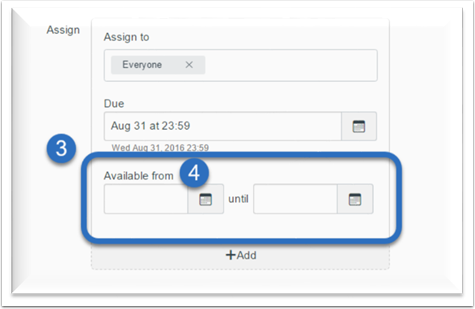 If you would like to prevent the students from seeing content prior to the week or day class is, you can set availability dates for each item within Canvas. 1. Click on the name of the assignment. 4. Select the date and times applicable. 1. Click on the name of the Quiz. 3. Scroll down until you see “Available from”. 1. 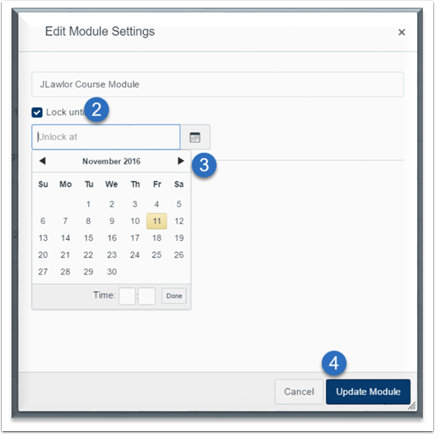 Click the gear icon to edit the Module. 3. Select the date and time applicable. Check out the vendor the vendor guides located here. Prev: How do I modify the Default Notification Settings? 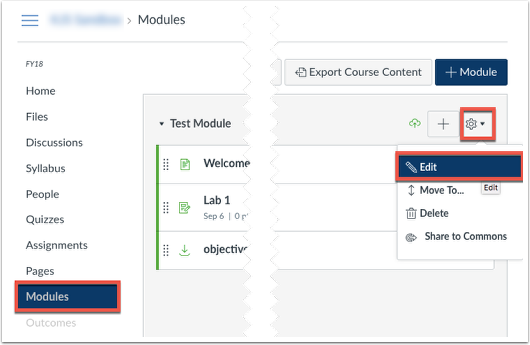 Next: How Do I Change My Course Name and Course Number in Canvas?